CAIRA Property & Facilities Solutions is a family run business specialising in all areas of property and facilities care with every operation and project overseen by our director Stefan Caira. Stefan has vast experience in all aspects of property solutions with his family having a vast experienced background in the Construction industry with his Grandfather and Father working as time served Ceramic & Mosaic Tilers with his Grandfather moving onto Project managing jobs and working as a general builder and his other Grandfather working as a Plumbing/Gas engineer on the Norfolk coast. 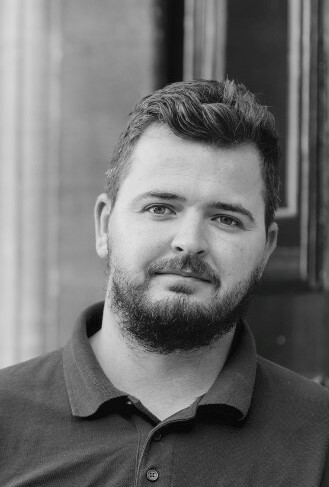 Stefan has worked as a Plumber for a prestige Oxford University College for over 10 years working on the day to day maintenance and accommodation refurbishments. While also maintaining his role as a Director for our sister company CMD Ceramic Tiling Contractors, overseeing projects to private dwellings to historic listed buildings. During Stefan’s 17 years involvement in the Construction industry he has built up excellent working relationships with Architects, Surveyors, Property developers and skilled tradesman. These working relationships was built on an element of trust by working together and looking at things from each others perspective to deliver the main task in hand The Project, while also building a core team to help deliver our projects. From your initial point of contact with us we will be there to advise and guide you in every possible way we can to ensure your task is our number 1 priority. A few steps of how we deliver this.. One contact, One team, One invoice, No problems. A quick response to all initial enquiries followed by a site visit and take a full and concise project brief with yourself the client. Promise to provide a written estimate for works within 48 hours. We will then agree a specific time and date to conduct a site based review of the project and commence work. We will then provide you with a contract stating your project contact, works programme stating clearly who will be carrying out the tasks as an when so you have a clear view of the agreed timetable, agreed clear payment terms and any scheduled meetings. Whilst on site we will ensure all Health & Safety compliance is adhered to. Once works are completed regardless of the size of task in hand out team will ensure the area is left clean and tidy. We will then provide you with a satisfaction feedback form for you to complete and formally respond to any recommendations you make. We believe in working to this guideline so we can all ensure a happy working relationship helping ourselves and yourself the client to a job well done. So if you would like to work in a team of like-minded people who enjoy what they do day in and day out and also take pride in their work then we are always happy to hear from you. At CAIRA Property & Facilities Solutions, we believe that by putting customers first, listening to what they need and modelling our business around this, we are able to deliver the highest possible standards of customer care and service standards.